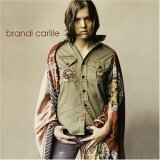 Since issuing her self-titled debut for Columbia Records in 2005, Seattle-based singer/songwriter Brandi Carlile has been trying to find the right balance between her pop-oriented tendencies and her artistic inclinations. Because she was weaned on country music, she likes to sprinkle her set lists with rugged classics, such as Johnny Cash’s Folsom Prison Blues, though she also holds Elton John and The Beatles in high regard. Her latest sojourn, which will stop at Chicago’s Lakeshore Theater on April 8 and Milwaukee’s Pabst Theater on April 9, is designed to showcase material from her forthcoming effort, which remains untitled. The outing was recorded under the guidance of guru Rick Rubin, and considering that it includes guest appearances from the Red Hot Chili Peppers’ Chad Smith, the Indigo Girls’ Amy Ray, and The Attractions’ Pete Thomas, it’s safe to say that it is a make-or-break affair. Guitarist Derek Trucks has been on the public stage for so long that it’s difficult to remember that he’s still just a kid. After an extended stint with Eric Clapton, however, it’s clear that he has begun to mature at an increasingly rapid pace. Trucks’ latest set Already Free is a tightly knit set of R&B-infused material that builds upon his concert treks with Susan Tedeschi. Freed from the constraints of a recording studio, Trucks likely will expand upon his new songs when he intertwines them with older fare during a pair of performances with his longstanding backing band at the Park West on April 8 and 9. After joining the Bloodshot family during the latter half of the 1990s, Alejandro Escovedo cemented his reputation as a sterling songwriter and performer. Although he since has moved to greener pastures, which resulted in last year’s career-defining (and career-encapsulating) set Real Animal — Chicago continues to serve as his home away from home. This month, Escovedo will perform four concerts in the area over the span of three days. On April 8, he’ll help Schuba’s in Chicago to celebrate its 20th anniversary. Then, he’ll travel to Milwaukee’s Turner Hall on April 9 before returning to Chicago for two shows at the Old Town School on April 11. Songwriter Carrie Rodriguez, who recently stepped out on her own with She Ain’t Me, will join Escovedo on the final two nights of his extended engagement in the region. Each of these performances likely will highlight a different aspect of Escovedo’s work, though they all undoubtedly will be as urgent and vital as his latest endeavor. Andrew Bird’s outings have been whimsical and quirky. Since issuing The Mysterious Production of Eggs, however, he has managed to find better ways of framing his eclectic experiments, which in turn, has allowed him to infiltrate the indie-rock scene fully and completely. Noble Beast, his latest effort, is no exception, and by all accounts, his talent for writing songs has taken another giant leap forward. Bird will celebrate his recent successes with a pair of shows on April 9 and 10 at the Civic Opera House in Chicago, where he’ll showcase his everything-but-the-kitchen-sink approach as well as his whistling. Guitarist John Scofield’s credentials extend from his support of Miles Davis’ experiments in jazz-fusion to his forays in the current jam-band scene with Phil Lesh & Friends as well as Medeski, Martin & Wood. Nevertheless, it likely was That’s What I Say: John Scofield Plays the Music of Ray Charles that inspired Piety Street, the 36th outing in his canon. Throughout the set, Scofield digs deeper into the blues, jazz, and gospel idioms that informed Charles’ work. To his credit, he remains focused upon song structures, thereby resisting the urge to transform the material into distended improvisational forays. When he performs at Milwaukee’s Shank Hall on April 14, Scofield will be supported by pianist Jon Cleary, drummer Ricky Fataar, and bass player George Porter, Jr., all of whom helped him to craft the endeavor.